We all need to use our hands, whether for work or daily activities, which is why carpal tunnel syndrome can make it impossible to get through the day without feeling pain or frustration. 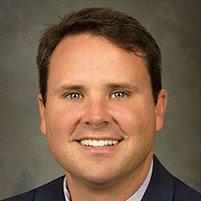 At Columbus Shoulder Surgery & Sports Medicine in Columbus, Georgia, orthopaedic surgeon Robert Lewis, MD, provides treatment for carpal tunnel syndrome. If carpal tunnel syndrome is making it difficult to use your hands, call or click online to schedule an appointment with Dr. Lewis today. Carpal tunnel syndrome is a common condition that creates a painful, tingling sensation in the hand and arm. This condition involves pressure on the median nerve, which is one of the major nerves in your hand. The median nerve provides sensation to your thumb, index, middle, and ring fingers. Your pinky is on a different nerve, so carpal tunnel syndrome won’t affect this finger. When you have carpal tunnel syndrome, the median nerve gets squeezed or compressed as it passes through your wrist. Symptoms of carpal tunnel syndrome tend to come on gradually and worsen over time, so early treatment is crucial. Without treatment, carpal tunnel syndrome can lead to serious nerve damage. These symptoms may come and go at first, eventually persisting for longer periods and at more frequent intervals. It’s also common to experience symptoms at night that may interrupt your sleep. How does an orthopaedic surgeon treat carpal tunnel syndrome? To diagnose your carpal tunnel syndrome, Dr. Lewis first evaluates your symptoms and medical history. Then, he carefully examines your wrist and hand through a series of physical tests. If you do have carpal tunnel syndrome, he discusses your best options for treatment. If you catch it early and have mild symptoms, Dr. Lewis may recommend wearing a splint at night and taking anti-inflammatory medicines. To prevent recurring problems, Dr. Lewis may suggest changes to your daily routine and simple physical therapy exercises that reduce carpal tunnel syndrome symptoms. In extreme cases of carpal tunnel syndrome, or if nonsurgical treatments don’t work, Dr. Lewis may recommend surgery. Through carpal tunnel release, he can relieve your symptoms by removing the pressure on your nerve. If your hands and fingers feel weak, tingly, or numb, don’t wait to get treatment. 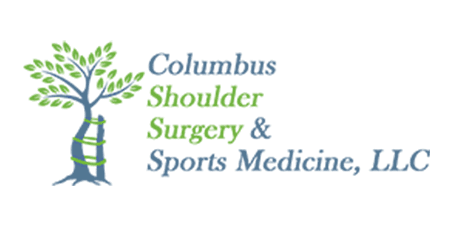 Call Columbus Shoulder Surgery & Sports Medicine or book an appointment online today.